Most of us may set a fixed period for meditation and after meditating for that period of time, we immediately get up and get back to our daily life. Doing this is akin to milking a cow without drinking the milk. We will not be able to gain the highest gift that our meditation can offer us. After meditation, our mind becomes focused and all our karmic hindrances are temporarily suppressed. This creates a window of opportunity for us to develop deep insights; insights that can change our life. Firstly, we should take a few minutes to review the experience that we had during our meditation. 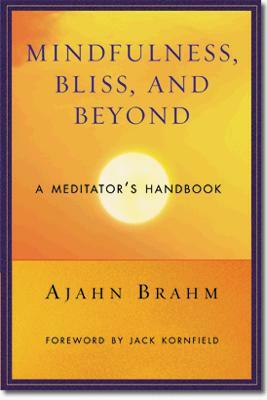 Ajahn Brahm’s book, ‘Mindfulness, Bliss and Beyond’, provides a useful description of deep meditation called Samadhi or Jhana. In summary, he described how the meditator will go into states whereby the senses disappear; one is not able to hear or feel anything and is even not able to think. Even the doer (will or decision-maker) eventually disappears. It is only when one gets out of the meditation is one able to think about and reflect upon that meditative experience. We should also use our laser-focused mindfulness to look pass our mistaken perceptions and see reality as it is. We can think about what we are not: We are not our body, feelings, perceptions, thoughts, will (doer or decision-maker) and knower (consciousness). Ajahn Brahm said that as one’s meditation deepen, all these things fall away to the point that even the knower (consciousness) disappears. If we are any of these aggregates, we would cease to exist when they disappear. After meditation, when one looks back at it, one will clearly see and finally know through experience that one is not these things. We could also contemplate about the law of karma. In his book, Ajahn Brahm shared that some of his students unintentionally looked into their past life and clearly saw reincarnation and the law of karma at work. Again, once they saw this, reincarnation and karma are no longer beliefs; they have become something known to them. They no longer have to ‘believe’ what the scriptures say. We could also contemplate about impermanence and inter-dependence. We could think about how the happiness that comes from sense-pleasures and achievements are tainted by duality and are actually causes of suffering. We can see for ourselves how the happiness that comes from letting go is a far superior form of happiness. This is how we deepen our understanding of our insights gained from reading and listening to spiritual talks so that they become deep insights which can change our perceptions, behaviour and our life. The book by Ajahn Brahm referred to above is now published under the title “Happiness through Meditation”.